Bob's Cheese is an inbred version of the F2 generation of the strain Cheese Tease. 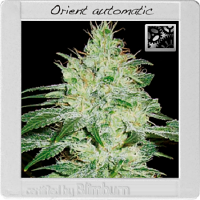 Bob's Cheese Feminized Cannabis Seeds by Kaliman Seeds: Bob's Cheese is an inbred version of the F2 generation of the strain Cheese Tease. 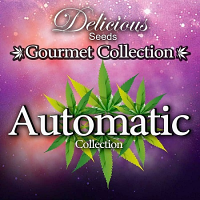 Due to the multiplicity of possible genetic permutations with F2s there are many different phenotypes that can be produced by these seeds with concommitant variations in both chemo-type and resin profiles. Some of these are even cheesier than the original Cheese strain while others are more subtle expressions of it. A lot of these different phenos develop long, fox-tail buds which elongate dramatically during maturation. This property gave rise to the name Bob's Cheese as they are very similar-looking to the dread-locks sported by the world's greatest reggae musician and song-writer. 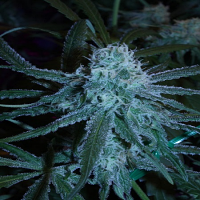 It is a sativa-dominant, high-yielding, medium to tall plant which can be grown both indoors and outdoors in warmer regions such as the Mediterranean. Flowering lasts for about 11 weeks; outdoors they will be ready to harvest during the month of October in the northern hemisphere.